At a press conference addressed by Prime Minister Raila Odinga, Budalangi MP-elect Ababu Namwamba made stunning revelations regarding the 4th March rigged election. The local media that covered the event failed to give it even a mention in any of the related articles that were published or aired on TV. This perhaps confirms the believe by many that leading media houses are biased. In the Press Conference, Ababu offered to explain the events that had occurred at Kenyatta University on 15th March where electoral materials allegedly used to doctor presidential results were recovered. 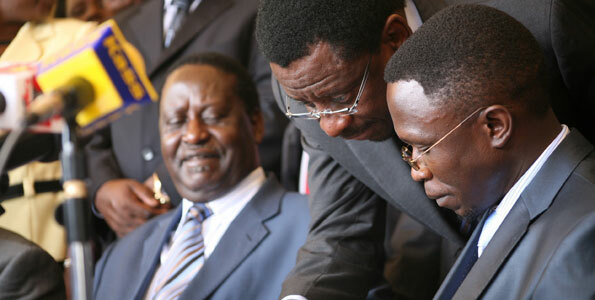 Ababu brought to the attention of the public the contradicting statements by IEBC chairman regarding the issue. Here below is the full statement.